Set of tools for the extraction of the glow plug tip in the event of breakage or seizure inside the seat, otherwise impossible to remove. 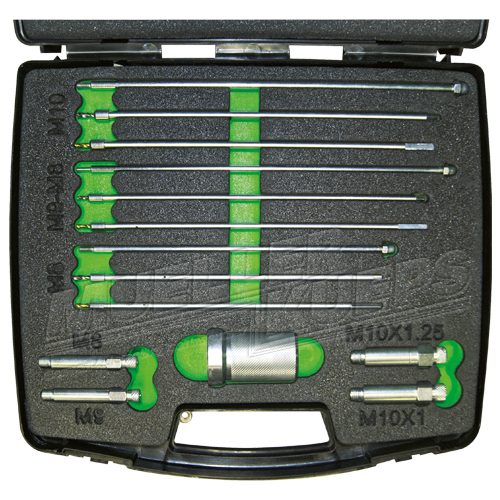 The set includes all the tools needed to safely remove the ­terminal part of the glow plug electrode without damaging the cylinder head. Our procedure saves you a considerable amount of time versus the alternative of having to disassemble the head.